You are in a rush for an appointment that could make or break your career. But you are stuck in traffic. No matter which way you go, you can’t move an inch. You dialed several times. No luck. Or for the upteenth time, you received a call from City Bank Mastercard’s collection agents. They call any time of the day and several times, too. They are rude. They use foul language and threaten you with doom unless you settle your long overdue account. Yes, there are cell phones you can forget, lose, or send flying against the wall or floor. You can even given them away to someone you hate when it its rightful place is the museum, not inside a pocket. 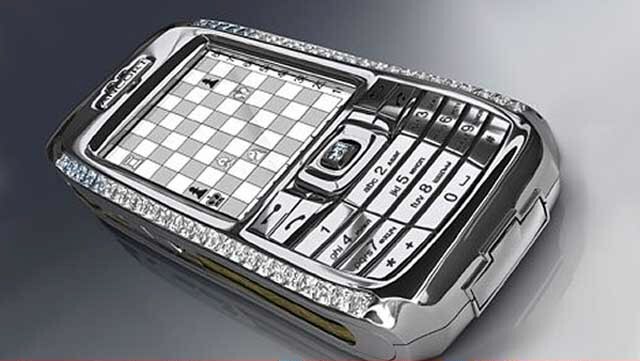 The Diamond Rose is definitely the most expensive cell phone in the world, fit for royalty or for people with super egos. 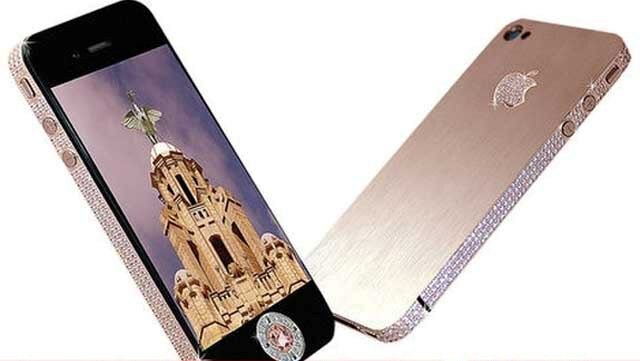 Designed by Stuart Hughes, a company known for expensive and deluxe gadgets, this cell phone has its sides studded with 500 alluring diamonds, the back is of rose gold with the Apple logo studded with 53 diamonds, and the center navigation button is a single-cut, 7.4 carat pink diamond. That’s not all. If you purchase one of these, it will be delivered inside a solid granite box. No, it does not take better selfies. But they are darn expensive for a darn cell phone. 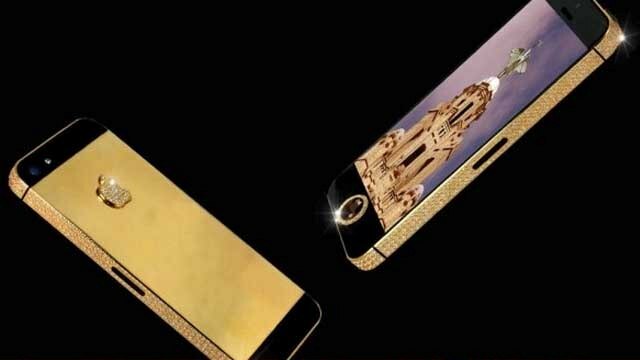 This, too, is designed by Stuart Hughes, and is coated with 136 F Diamonds, 271 grams of 22 carat solid gold and the Home button is 7.1 carat diamond. 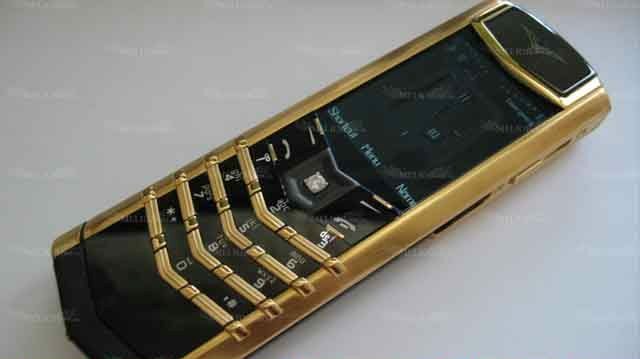 On top of that this cell phone has a rare Kashmir gold and has an inner lining of nubuck top-grain animal skin. Animal rights lover will not go for this. The King’s Button is made of 18-carat yellow gold, white gold and rose gold, and its Home button is embedded with a high quality 6.6 carat diamond. It shows off a white gold line encrusted with 138 perfectly cut, aligned and hand-placed diamonds. This is a creation of Australian jeweler Peter Aloisson. In 2006, a Russian businessman bought one of these for 1M Euros. 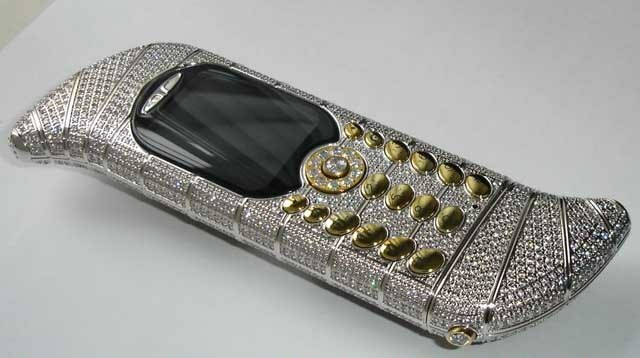 It means that only 99 are left out there because only 100 pieces were made of this luxurious cell phone. Buying is on special request only. 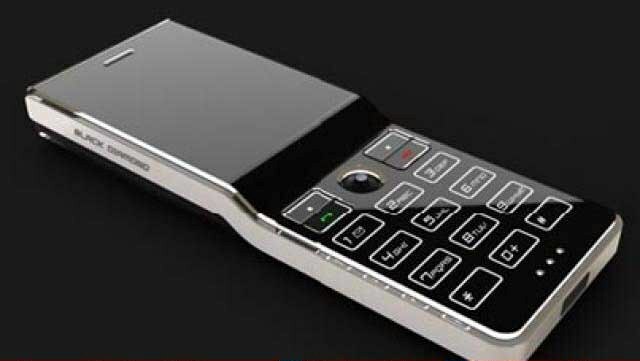 Designed by renowned designer Emmanuel Gueit this phone (launched in Switzerland) is made of 18 carat white called, studded with 120 carat VVS-1 (system of diamond grading) graded diamonds. 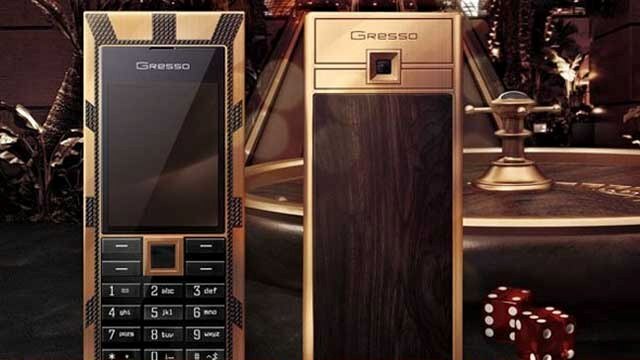 The Le Million held the Guinness world record for being the most expensive phone in the world. This phone is of solid platinum and the Ancort logo and navigation are 18 carat rose gold with 28 cut diamonds surrounding the navigation key. 25.5 princess cut diamonds decorate the side of the phone and on top are 8 more beautiful diamonds attached onto the device. This phone is described in one word – unique! It is unique because it weighs its 180 gram, 12mm frame has a two-hundred year old African Blackwood, and the entire phone is covered with black diamonds, and it has seventeen hand-polished and etched sapphires in the keyboard. If you are in Las Vegas, you don’t just put this phone on a gambling table where it can easily be forgotten or pilfered. This phone has one purpose only – to make the owner the center of attraction at any gathering. As the name implies, it has a cobra draped around its sides made of four hundred and nine rubies and two emeralds as eyes! But the main selling point is the rare pear cut diamond embedded into the frame. A real piece of beauty you would gladly show off to your friends. This super thin phone is shaped like no other. Its borderless look in enhanced by its black finish. 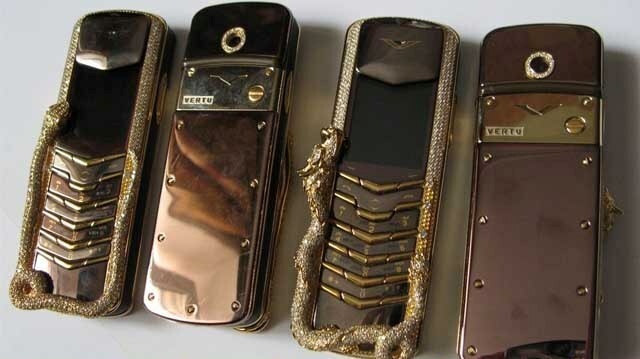 It has two diamonds – 3 carat on the rear and 0.25 carat on the joystick..
To make this really rare, only five of these phones were made. If you have a rich Dad, ask him to buy this for you. Designed by Peter Aloisson, the Princess Plus has 318 diamonds, where 138 are princess cut (the second most popular diamond cut). 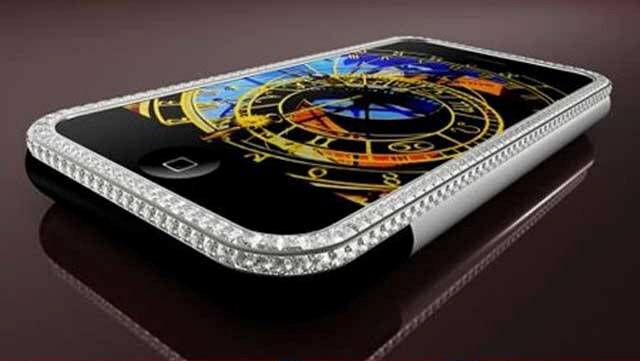 The last but not the least expensive is this, diamond colored cell phone would look impeccable in one’s hand and boosts one’s ego. Nothing is mentioned why this phone is priced that much. But, as they say, “curiosity killed the cat.” So why not drop by your favorite cell phone shop if you have an extra $88K you don’t know where or how to spend on. I have two cellphones, a Sony Xperia and IPhone 5 – both are hand-me-downs from my children. I definitely won’t buy any of the above.